For years, we have urged municipal networks to cooperate in various ways to lower costs. For instance, by building a shared middle mile network to aggregate their bandwidth and get a better deal due to the higher volume. 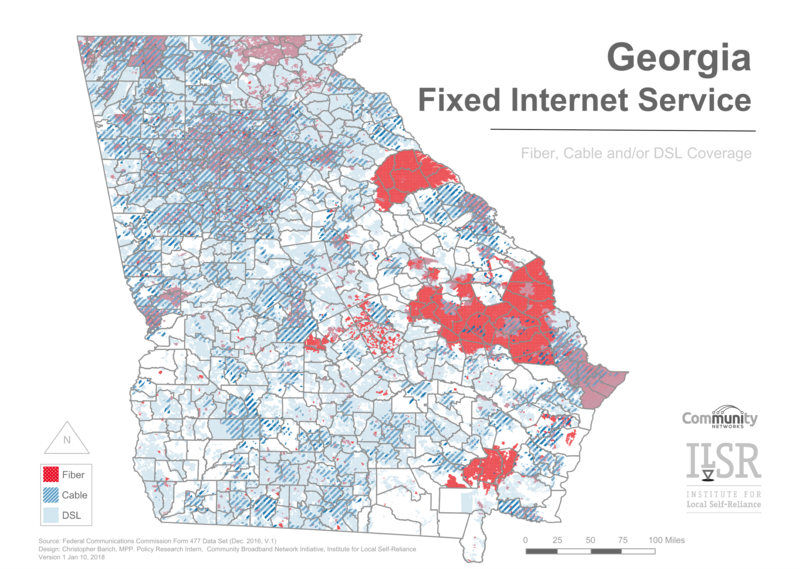 So it came as a bit of a shock that Georgia Public Web has been helping many municipal networks in these ways for well over a decade. David Muschamp, President and CEO of Georgia Public Web (GPW), joins us for episode 156 of Community Broadband Bits to discuss what the member-owned nonprofit organization does to improve Internet access across the state. GPW operates over 3000 miles of fiber connecting businesses and even entire communities. They operate a 365-24-7 network operations center and provide consulting, focusing particularly on the needs of the nearly 30 local governments that own the company.